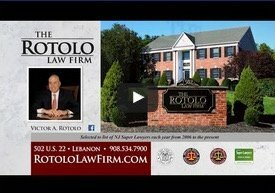 Former police officer Victor Rotolo leads a team of experienced attorneys who advocate to achieve the best resolution on behalf of their clients. With more than 120 years combined experience, the Firm stands ready to serve your legal needs in the areas of divorce and family law, accidents and injuries, and criminal defense. Call or visit rotolokarchlaw.com. Your initial consultation is free. Rotolo Karch Law. Protecting what’s important to you.